The Mouette armchair (french. seagull) by Tolix was designed back in the 30s by Xavier Pauchard and is a child-friendly addition to the iconic A56 Chair made of steel sheet by Tolix. The steel chair, in the shape of the bird it was named after - was manufactured out of sheet steel just like the larger variant. The armrests make the child's chair particularly comfortable and safe, as the child is enclosed from all sides. Falling off is therefore virtually impossible. Thanks to the robust material and the armrests, the Mouette chair by Tolix is perfect for children. In addition to this, the kids chairs can simply be stacked and stored in a space saving way if necessary. On demand, the chair also exists in many other colours. As part of the children's collection by Tolix, a matching table in different colours is available. 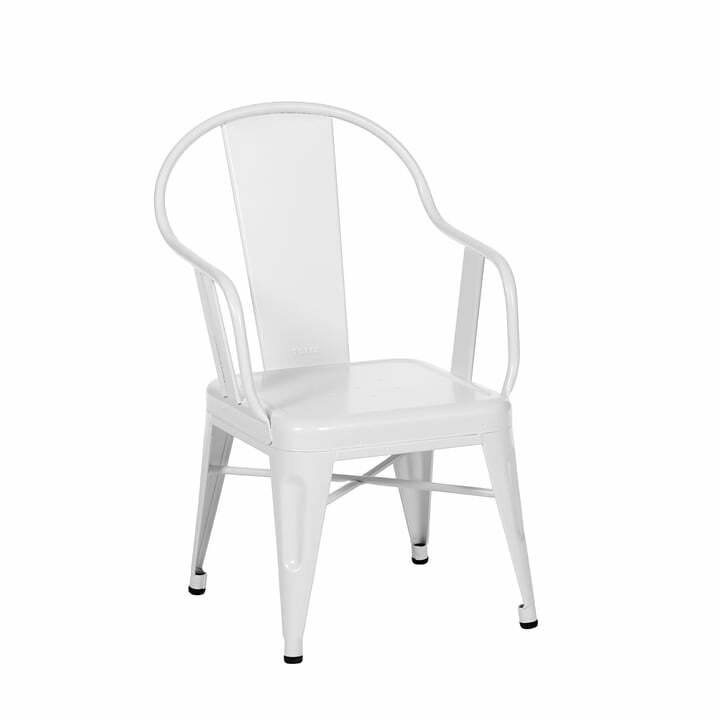 The Seagull armchair by Tolix in white matt: The armrests make the chair even more comfortable. It also makes it ideal for children to can sit, paint play or eat comfortably.